Mega Sale! Save 21% on the Definitive Technology BP9060 High Power Bipolar Tower Speaker with Integrated 10'' Subwoofer - (Single Speaker) by Definitive Technology at The Met Theatre. MPN: BP9060. Hurry! Limited time offer. Offer valid only while supplies last. The BP9060 tower speaker is your answer for remarkable, immersive, room--‐ filling sound so you can experience every detail of pure home theater. 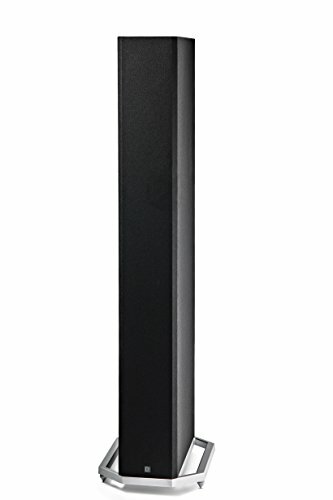 The BP9060 tower speaker is your answer for remarkable, immersive, room--‐ filling sound so you can experience every detail of pure home theater. Forward focused bipolar array expands your room's entire soundstage. Aluminum dome tweeters, high--‐performance drivers, integrated powered subwoofer and intelligent bass control let you hear and feel every note as the artist intends. Dolby Atmos / DTS:x compatibility let you explore True multi--‐ dimensional sound. Timeless, minimalist design. This is what obsession sounds like. If you have any questions about this product by Definitive Technology, contact us by completing and submitting the form below. If you are looking for a specif part number, please include it with your message.